weev: Dear clueless assholes: stop bashing bash and GNU..
“speedup is 403.50”. Thank you #rsync. Google is “tightening the screws” on Android to keep control over the web – Quartz. I need to redo our lights. Want! German military air fleet “almost unusable”. “No improvement expected”. Bundeswehr: Schwere Mängel bei Ausrüstung – SPIEGEL ONLINE. What do *you* expect to find in a salt marsh? 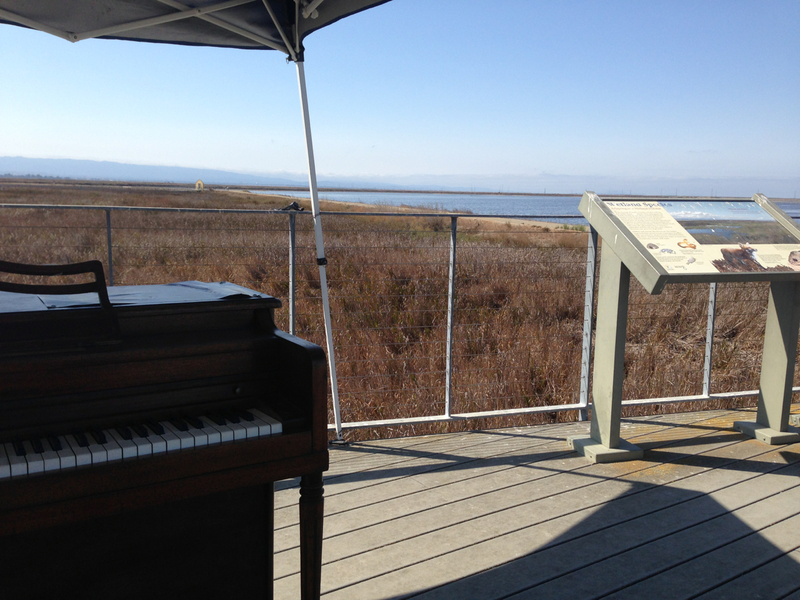 Went for a bike ride yesterday, on the dikes between the salt marshes in the SF South Bay around here. I was expecting lots of water birds (check), salt water (check), sunshine (check), perhaps a few dead fish (not). Obviously I took the opportunity for a few measures of Chopin. Shower With Friends Lets You Gamify Water Consumption | TechCrunch. “Apps must not use data gathered from the HomeKit APIs for advertising” https://developer.apple.com/app-store/review/guidelines/#homekit Sounds like @apple means that privacy thing! Tech legislation that actually makes sense! http://farenthold.house.gov/news/documentsingle.aspx?DocumentID=394060 Let’s see who will oppose it, and on which grounds.